"A consortium including three industrial manufacturers - Roberts, the Real Yorkshire Pudding Company, and Aunt Bessie's - is backing the bid. They have sent the proposals to the UK Department for Environment, Food and Rural Affairs before they are considered by the European Commission. The companies hope to gain money and legal support from Brussels, such as that gained by Yorkshire Forced Rhubarb last month. 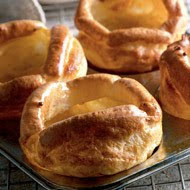 If the plan becomes law, only puddings baked in Yorkshire or Humberside could be called "Yorkshire puddings", denying the same name to frozen food manufacturers overseas. The market for frozen Yorkshire puddings overseas has grown rapidly, and the Real Yorkshire Pudding Company now exports 80,000 puddings per year". A depressing sign of the times is the observation that "China has pushed aggressively into the Yorkshire pudding market in recent years, seeking business from British expatriates". 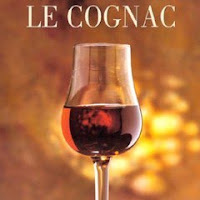 Last Tuesday the IPKat drew the attention of readers to Case C-4/10, Bureau National Interprofessionnel du Cognac v Oy Gust. Ranin, a Finnish reference to the Court of Justice of the European Union of some questions relating to the interrelation of the regimes for the protection of trade marks and geographical indications. The Kat has since learned from his valued blogging colleague Hugo Cox (1709 Blog) that the International Policy Directorate of the UK's Intellectual Property Office is inviting comments by this Friday, 12 March, before it decides what to do about this reference. If you'd like to shape the IPO's thoughts on this subject, or bend its collection of ear, please email here. Today the IPKat team welcomes a new member, Dr Neil J. Wilkof. Some readers may already know Neil either as the author of a leading text on trade mark licensing or as an active and often contributor to the IP Finance weblog on a variety of IP topics. As both a busy practitioner and an active academic, Neil will bring to this blog a depth of scholarship and a range of real-world perspectives. We welcome Neil to our team and feel sure that his thoughts and comments will be a valuable asset. 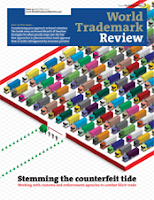 The April/May issue of the World Trademark Review (and the IPKat thought it was only just March ...), published bimonthly by Globe Business Publishing, has the flavour of international trade about it. Topics covered include the subtle differences between the US and Canadian approaches to grey goods by Blakes' Antonio Turco and a powerful piece on goods in transit by Allen & Overy's Paul Reeskamp and Eva den Ouden. There is also an analysis by Iris V. Quadrio and Andrea Mackielo (Marval O'Farrell & Mairal past and present) of the present problems and pleasant prospects for trade mark protection in Latin America -- an appropriate follow-up to the piece on Latin America's love-hate relationship with the Madrid Protocol that was published in WTR's previous issue. You can see the full contents of the current issue here. World Intellectual Property Day, Monday 26 April, looms ever closer, and the IPKat is pleased to say that, a little later this week, he will be inviting all his friends and readers to a lovely party from 5pm to 7pm in Central London. He can also tell you that his friends at the IP Finance weblog have organised a lunchtime event from 12.30pm to 2.30pm, also in Central London. Details of both events will be announced tomorrow. Both events are free, thanks to the generosity of the sponsors. Mark your diaries ...! Yorkshire pudding a GI? Does this mean that, if Canada signs a Comprehensive Economic and Trade Agreement (CETA) with the EU, I won't be able to order "Yorkshire Pudding" with my roast beef here in Ottawa, unless it's flown over fresh from Yorkshire? What's next? Beef Wellington, Worcester Sauce, Dover Sole? Dear Howard: I think we'd better not say anything about Beef Wellington unless we're prepared to face the ire of our brethren in New Zealand, though for many of us the word 'Wellington' is more closely associated with the sheep ... and perhaps the Wimpy. That "ultimate" authority - Wikipedia - suggests a provenance going back to Arthur Wellesley, 1st Duke of Wellington. So I think that the UK may be able to deal with our friends from New Zealand on the merits. If that doesn't work, maybe Her Majesty could exercise some ultimate crown prerogative. I won't take sides here. I prefer to see it as generic. Besides, the Supreme Court of Canada and our Parliament Buildings are located on Wellington Street in Ottawa. [A well-known British IP lawyer, name withheld, writes] As you know I am a strong supporter of IP but the Yorkshire Pudding debacle is a step too far. As I sit in Dublin Airport on my way back from a relative's wedding and fresh from the latest Irish tales, I thought your latest missive about a lifelong favourite food of mine was straight from Flann O'Brien. You can imagine my surprise when I found it was straight from UK IPO, I hope they still have a sense of humour. Dear Howard: Wikipedia says there's no evidence to support the Arthur Wellesley hypothesis. Wikipedia says " but there is no evidence to say for sure". "For sure" surely means beyond a reasonable doubt. Well then, the UK may have to rely on a balance of probabilities. Dear Howard: it doesn't say "there is some evidence ...". It says "there is no evidence" and the words "for sure" apply to that phrase, to be sure! If your construction was intended, it would have said "but for sure there is no evidence" rather than "but there is no evidence to say for sure", which is what it does say. I think that we sure have exhausted this topic. Swiss rolls will be next. Dear Howard: how do you impute a specific intended meaning to the word-order of a Wikipedia entry, which may be the product of several hands (and minds), whether native English speakers or otherwise? As to the “specific intended meaning” of the Wikipedia passage in question, it seems that we have an impasse between a British interpretation (yours) and a Canadian interpretation (mine). I can think of only two solutions, now that appeals from the colonies to the Privy Council have been abolished. One is to have our disagreement adjudicated by a neutral English speaking expert arbiter of the construction and “intent” of language with legal significance. A neutral American might be suitable. Can we agree on Justice Scalia? The other solution is that you or I could surreptitiously edit the Wikipedia entry. This might be a quicker, though not necessarily final, resolution. My late great-aunt, on moving to a residential home in her nineties, was outraged to be served individual yorkshire puddings rahter than a large one, divided into portions. She would be turning in her grave at this piece of news. And surely frozen Yorkshire pudding must count as one of the most unnecessary and superfluous products of human ingenuity, right up there with ready-grated cheese and frozen boiled rice, both of which I have spotted on the shelves of my local supermarket? Or is that too much like Edison's comment about the electric toothbrush?